It’s part of the game, we’re in an ever evolving industry and change is something that is almost guaranteed. It is our role to be the change or adapt with it as it arrives. I have just returned from the largest SharePoint Conference in Las Vegas, where new features and an insight on Microsoft’s roadmap for SharePoint have been showcased. Needless to say that after the Keynote presentation, my mind was racing with ideas and thoughts on the future of SharePoint. Bill Clinton was our Keynote speaker, which was interesting as he obviously did not know anything about SharePoint or Office 365 and I got a strong feeling he thought we all worked at Microsoft. Sitting in the front row, I was tempted to let him know we didn’t but decided it was better not to interrupt. 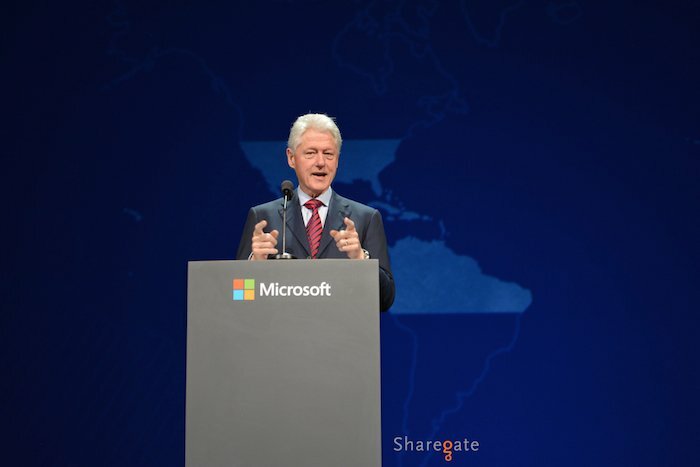 Though many seemed critical as to why bring in President Bill Clinton for our SharePoint Conference, I found it very insightful for what we are doing today with SharePoint as a technology. Something marked me in his speech, "Once people could know what the price of fish was 30 miles down the way, the average income went up 30 percent ». So what does that mean? It shows one of the biggest problems we often face in businesses, finding information. Why was SharePoint so popular? Well it introduced a new way of organizing our documents by Metadata and not folders. Ok so it didn’t introduce that, but it made it accessible with an easy to use web interface. As soon as we heard of a way to find our content easily, we jumped on it and saw the power of SharePoint as a platform to build our solutions. Quickly though, we saw the importance of the Search engine as well, but many did not take the time to configure the Search for « findability ». Every time I have done a presentation on SharePoint to beginners or people that wanted to know more, I was always able to sell it on the way it allows us to find information… « The price of fish ». In all our contexts, we are always trying to find the price of fish in some way to make whatever we’re doing, better. Dragging my feet out of the keynote room, I was still processing what I had just seen and the impact it has on what I do with SharePoint. It’s no big surprise, most of the announcements impacts Office 365 users and not as much the On-Premises masses, at least for now. My interpretation is that they will test features on Office 365 and then put them on future On-Premises releases. But let’s not kid ourselves, the cool stuff is going to be on SharePoint Online or Office 365. We clearly saw this when SharePoint 2013 SP1 was released with new ways to have a Hybrid setup with Office 365, that's where they want us. And of course, there were some other mentions like the 1TB Office 365 SharePoint Site Collections, but the above were the focus. Office Graph: Revolutionary. Make no mistake about it, this is a whole new direction for us in the SharePoint world. What is it? Just like Facebook Graph and Enterprise Graph with Yammer there is now an Office Graph. It’s the idea of « building a graph for relationships between people ». And this ties it back to « the price of fish » allowing you to find content faster, but this time without necessarily searching…this time, using your connections and relationships. Notice how Facebook often presents you with relevant information, based on who you are and what you do as well as who you interact with? The idea is, instead of going out and searching for content, let’s present it to you before you go looking for it. Oslo App: An app to present to the user what Office Graph has worked hard to do. More on these announcements by the SharePoint and Office Team. Remember, this is all simply my opinion based on what I am seeing and all this is purely speculation. Do we still need to create SharePoint Team Sites? Do we still need them? Following the keynote and talking to attendees at the Sharegate booth, I started wondering why we would still build Team Sites. Why did we use these? Well in almost all cases, to store our documents and of course easily work with them alongside our teammates. Now Yammer wants us to work with Groups and has shown this very well with all these new features. Whether I am in Outlook with emails, calendars or working on documents, the integration is there. The concept of a company Intranet is already evolving into something more personal and contextual. Customers are asking us for the homepage to know who is logged in and currently viewing the page to properly target the right content to them. We are already talking about Search-Driven Intranets and Applications, tomorrow there will be Graph-Driven Intranets and Applications with apps like Oslo and the Office Graph linking Yammer and your Emails. Again, I am not saying SharePoint is going away… rather the brand is fading and making way for this new technology era based on machine learning, graphs… Office 365 and Yammer. Crazy how a simple sentence can have such an impact. What we want is to find the price of fish and that’s why I truly believe Yammer Groups with Office Graph and any future app like Oslo is a winning combination. How did you find this article? By searching for it or through your relationships, your « Graph » through Facebook, Twitter, LinkedIn, Yammer or other relationship-based network? I have to say I am excited to see and be part of where we are heading with SharePoint. The workplace is definitely changing and so are our tools. There was one other, very important, announcement. Though not really a new feature, OneDrive for Business is introduced. Essentially this is the new name to the existing SkyDrive Pro previously introduced with SharePoint 2013. At the core, it’s the ability to synchronize the files in Document Libraries offline similarly to Dropbox. Microsoft shows it as a replacement to the popular My Sites in SharePoint. However, they did something brilliant and introduced a standalone plan for OneDrive for Business at $2.50 per user per month that will start in April 2014. Let me tell you why this is brilliant and will easily influence many to make the leap to the cloud and eventually Office 365. See, they’ve also mentioned office.com at the conference, something that instantly reminded me of iCloud.com. This brings Office Web Apps, to view and edit Office documents directly from any browser for free with a Microsoft account. Personal Sites for every licensed user with 25GB of storage for each by default. The ability to share and collaborate on those documents with others. Again… $2.50 per user per month. No doubt that this will see many want to migrate to SharePoint on Office 365. There is no doubt now, this is where Microsoft wants us to be in the future and it’s starting to be a little more appealing if it wasn’t before. 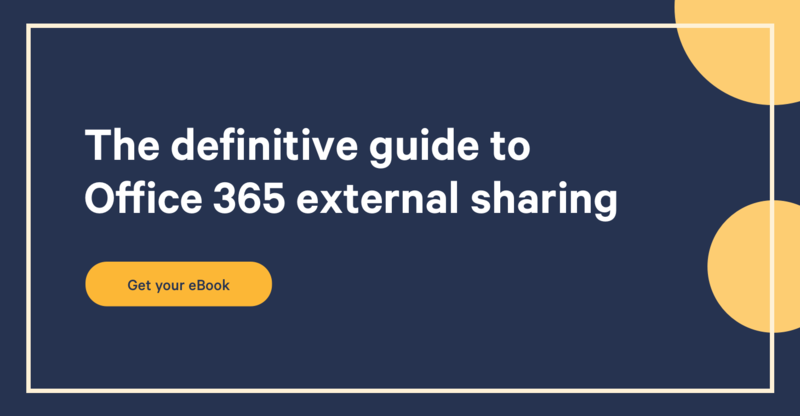 The SP1 of SharePoint 2013 introduces ways to do a hybrid SharePoint Migration, but otherwise we will still need tools like Sharegate Migration to get our content migrated to Office 365. And again, we see the word SharePoint reduced as users will be simply storing their files on "OneDrive for Business" or "Yammer Group Sites". SharePoint is here to stay, there is no doubt about that. I think it has become a very valuable platform to many around the world and the things possible with it are incredible. But, will we still be using the word SharePoint in the future or will it become an unsung hero and mistaken by Yammer Groups Sites, OneDrive for Business or other related Office 365 related brands? What do you think?